In this interview, John Halle explains the need to engage in electoral politics while maintaining a high level of skepticism for the paternalistic elites found in both dominant political parties. Further, Halle makes observations of how those on the left can more adequately reevaluate their relationship with activism, protest and revolution. Halle explains how this all can fit into creating a viable and workable policy agenda that can be moved forward until legitimate alternatives are presented. Many of these ideas culminate from his writings with Chomsky. Daniel Falcone: Should people be more engaged in electoral politics now with the Trump Administration in office? Many have been reluctant to do so in the past. Here, I’m basically expressing the need to strategically vote against Republicans. What are your thoughts? John Halle: Yes, the Trump Administration should have created an atmosphere and necessity for people to engage in electoral politics even if they may have been reluctant to do so in the past. Consider the catastrophe we are dealing with now: 1) a resurgent, nativist, proto-fascist far right, 2) the EPA and departments of Interior and Energy under control of climate change denialists, 3) the chipping away of an already harshly austere safety net, 4) a budget which will still further tilt the balance of taxation in favor of the super-rich while imposing increased burdens on the poor, 5) the elimination of the CFPB increasing the likelihood of a financial crisis, 6) the crazed foreign policy saber rattling, possibly resulting in a nuclear confrontation. All of this was predictable and predicted. Unfortunately, many of those who were in a position to head it off chose not to listen. Of course, part of the reason why the lesser evil vote was required was due to particularly unsatisfactory choices during this election cycle. But obtaining candidates worth voting for and not merely against requires going beyond protest to designing and implementing a specific strategy. Elements of the left for many took for granted John Holloway’s formulation to “change the world without taking power.” Insofar as the Clinton and Trump forced choice was a consequence of this kind of “above it all passivity,” which the academic left is particularly susceptible to, my hope would be that this atmosphere has changed. I’m not convinced however, certain promising tendencies aside, that it has. DF: Can you give me your take on the recent “controversy” whereby Noam Chomsky criticized antifa and then faced some pretty irrational critiques in the aftermath? What was exactly taking place here? Why is this, the case? It is a complex question. I’d point to a couple of factors in attempting to answer it: 1) support of civil liberties and pragmatic commitment to non-violence, while more influential then was not necessarily dominant during the sixties. In particular, as Chomsky has noted, the Weather Underground and their many sympathizers adopted assumptions and rhetoric close, if not identical to, that of antifa. Chomsky argued against them back then and was denounced as a “liberal” and “sellout” for doing so. Given that many of Weather’s leaders, e.g. Bill Ayers and Bernadine Dohrn, remain in circulation, and are lionized as wise elders on programs like Democracy Now!, it stands to reason that their rejection of civil rights and non-violence have credibility among the left. They played a major role in destroying the anti-war movement and it’s apparent to most movement veterans. But this understanding has apparently not made it across the generational divide. A second factor applies to antifa activists who, as referenced in the first question, either acted on or argued for the “Bernie or Bust” and “Never Hillary” position. As this was based on what can only be called delusions, e.g. that Trump was the “Peace Candidate,” compared to the “warmonger” Clinton, and that he would “take on Wall Street;” or that, at worst, he would “be only a little different.” It’s understandable that they want to obscure their own complicity through high dudgeon rhetoric and theatrical displays of cartoon violence (e.g. “Nazi punching”). Of course, as Chomsky has argued, this reaction is likely to foment rather than inhibit the growth of the far right. 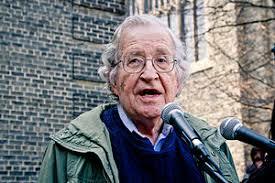 But it is not clear to me or to Chomsky that the consequences of their actions, is their primary concern. For them it seems rather that activism functions primarily as a form of personal self-expression for which the likely consequences are secondary, as it was for the Weather Underground. Some, most notably Mark Rudd, are now willing to admit this. DF: It seems in many instances that since the two dominant parties have been close to identical in several ways for so long that activists are still holding onto this concept even when it appears that the current GOP doesn’t represent a political party. Can you comment on this? JH: Even when the differences appear slight, as has sometimes been the case, small differences can often have a major impact on the quality of life of the most vulnerable and disadvantaged sectors of the population. On these grounds it’s hard to see the justification for not achieving the “least-worst outcome.” That said, since the Bush II administration, the Republican Party has become “the most dangerous organization in human history.” As such, the logic for preventing them from assuming power has been overwhelming, so it hardly seems necessary to make the lesser evil argument, though no doubt it will still be required. It should be mentioned that the above assumes a particular view of electoral politics, namely as an act in which one engages, or not, with more or less predictable consequences. The position which Chomsky and I took was that on these grounds, it and we, should be judged on what these consequences are on others. We believe this view is mistaken for reasons suggested in the piece and likely had disastrous consequences. DF: Can you comment on the concepts of lesser than evil voting and strategic voting. I would personally like to engage in electoral politics and always keep activist type work primary. At the same time I realize it need not be a zero sum game. Do you consider the left having difficulty with the zero sum game? JH: My experience as a local official was that electoral politics served as a positive sum game in several respects. One is that holding office carries with it the ability to communicate with constituents. Doing so establishes connections with those outside of the normal activist networks which engage only a small fraction of the population. Mobilizing many of those who would not be otherwise inclined to do so enabled more people to participate in the “activist type work” necessary to advance a left agenda. Related to this, winning office confers credibility not just on the candidate but on the candidate’s agenda. Conversely, losing campaigns, particularly unserious “symbolic” candidacies are regarded (to some degree correctly) as a reflection of the lack of a constituency for the agenda. For this reason, I’ve long held the view the left should invest in winning campaigns and what is required. Fortunately, in the wake of the Sanders campaign and in the post Sanders mobilization I find I don’t have to make the argument anymore, or at least when I do I’m not talking to a wall. DF: What are your thoughts on third parties? Is this a feasible option or can any party, become totally transformed from within? How important is it (if it is) to work within the system when it is so failed? JH: Having won office twice as a third party local official, I’m favorable to them. At the same time I agree with NNU’s Michael Lighty that parties should not be fetishized. They should be seen as a tactic to achieve concrete political ends, not as an end in themselves. That the two can conflict should be apparent from the example of the European Greens who once in office became junior partners in the imposition of neoliberal austerity, their leader Joschka Fisher, signing off on the bombing of Kosovo. Odd that many leftists here profess faith that Jill Stein would be better. But on what grounds should she be believed more than any other lying politician? Confronting Greens with this invariably elicits an embarrassed, silence or a stream of obscenities. The proper role for political parties is as a tool to advance a policy agenda. Ideally, candidates should both derive from movements and there should be mechanisms to ensure that they are responsive to them. Insofar as building a party is done at the expense of that, that’s a recipe for failure. Daniel Falcone is an independent journalist, interviewer, researcher, activist and teacher. Read other articles by Daniel. This article was posted on Sunday, November 26th, 2017 at 2:53pm and is filed under "Third" Party, Interview.